An Interview with Abigail Disney, producer of Pray the Devil Back to Hell. 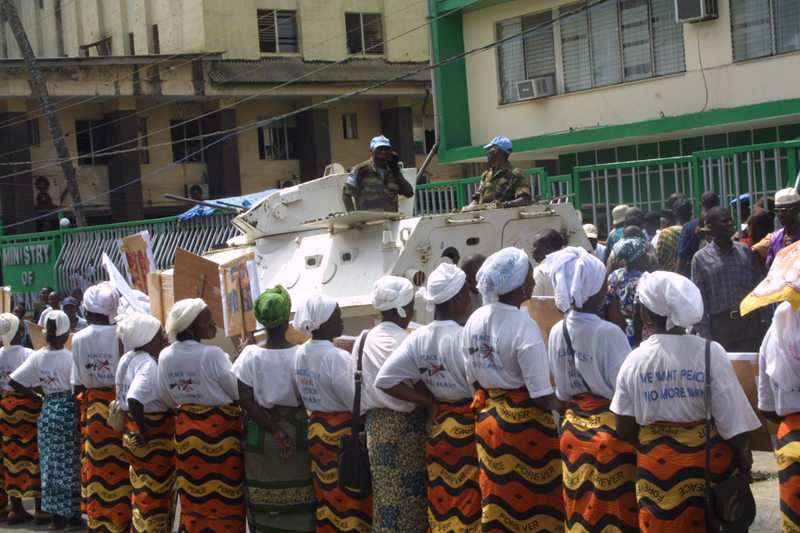 Protesting in front of UN Envoy at Mamba Point, Monrovia, Liberia. Still from Pray the Devil Back to Hell (Gini Reticker, 2008). Photo credit: Pewee Flomoku. Used with permission from Fork Films LLC.